I am Silvia Cabiddu and now I’m going to talk to you about myself and how my passion for the Nordic Walkingwas born. I have known this discipline two years ago and almost by chance: then I practised, for some time now, the Mountain Bike and "galeotto was"(thanks to) this sport! It made me discover the pleasure and the benefits, on the body and on the mind, by practicing physical activity immersed in the nature and the wonders of the same nature... but more than, it has made me discover all those corners of paradise that my wonderful land so with dignity cares. But in winter, particularly in my Ogliastra - territory still partly a little known of south center Sardinia - the practice of the Mountain Bike often forces us to leave the bike at home and, in order not to stand still, the Trail Walking is a valid alternative. From now on Ireally enjoyed to walk in the same places in which I also went out with the bike because it offered me the possibility to observe them from a different perspective. This has pushed me to walkmore and more often ,getting to regularly alternate, in every season, the bikeexits to the walks. I have discovered then that there was a more complete sport than a simple walk and so, ticked by this, I started reading about it…then untilI decided to buy my sticks and I learnt the technique of the Nordic Walking. So I have discovered the Modern Nordic Walking and the value of this wonderful discipline. 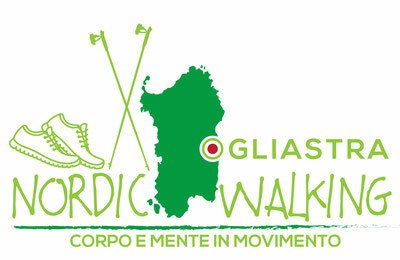 ... that is how "Ogliastra Nordic Walking Corpo e Mente in Movimento!" And I hope to accompany you in healthy and beautiful walks to the discovery of my fantastic territory!!! 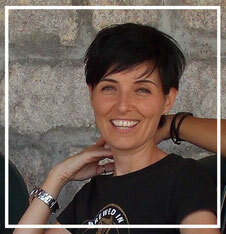 Michele, my partner, because without him itwould not have been possible to realize this dream. My mother, because her support has been very important. And Silvia Talana (Modern Nordic Walking Coach and National Technician CSEN), my teacher, to have made to know me the Modern Nordic Walking, for her availabilityand her endless patience!